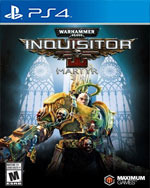 Set in the dystopian 41st millennium, Warhammer 40,000: Inquisitor – Martyr places the Inquisitors of the grim future into an Action-RPG and pits them against heretics, mutants, treacherous xenos and the daemons of the Chaos Gods. Your mission is to purge the unclean and protect the Imperium from corruption! There’s a clear feeling of Martyr being spread way too thin across all the ideas at play, and pretty much every aspect of the game suffers as a result. If it could’ve trimmed some of the fat and instead focused on a select few features and mechanics, we might well have had a ground-breaking 40K release on our hands. Instead, what we’re left with is a half-baked example of what could’ve been. 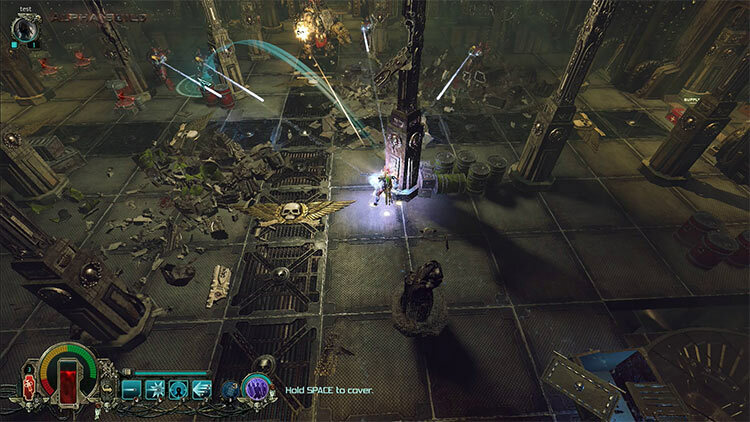 Warhammer 40,000: Inquisitor - Martyr gets a lot of things right, but drops the ball where it matters most for an action RPG. We’re left with a repetitive, not very tactically exciting combat system and itemization that arbitrarily forces you to gear for item level rather than better stats. Everything else is just a nice house built on a shaky foundation at that point. 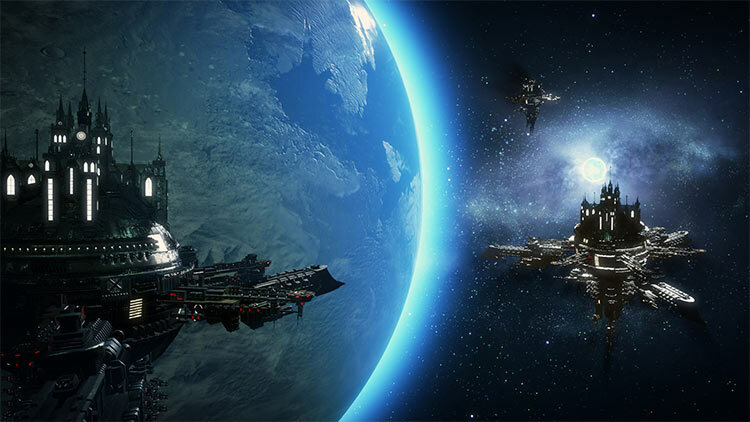 Even the Emperor can’t protect this clumsy shoot-em-up from its own sins. The fact that I felt as thought I was playing out a possible mystery case from the files of Gregor Eisenhorn only added on the glee. It is, without a doubt, the best WH40K game on the PlayStation 4. It’s a shame that the unreliable, yet required online connection prevents the praise to reaching beyond that niche audience. All in all, this is a pretty solid RPG, as there's a shedload of content to get your teeth into, and it's really deep in its lore. If you're a fan of the genre or the franchise, you should take a look at this as it's a break from the norm, and you can pump hours or days into this and still not be done. Sadly though, the repetition and clunky item system hit the game where it matters most, but that doesn't mean we weren't happy to dish out some pain in our hulking armour. For all its strengths, Martyr fails to impress. 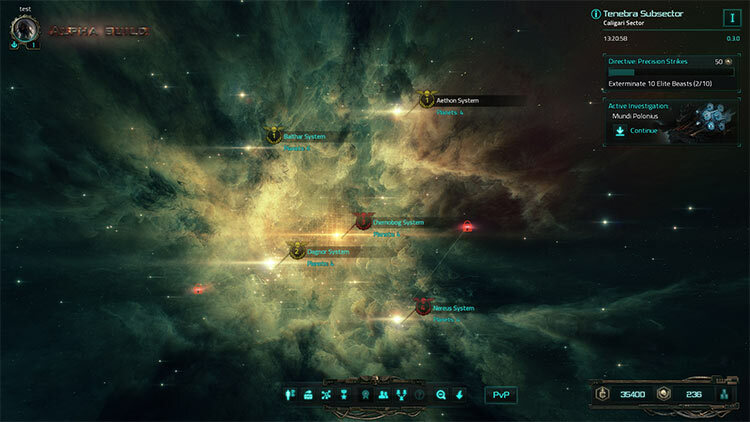 While the meaningless loot system and slow progression are clearly an issue, it is the uninspired control system that never really comes together that drags the game down to limbo. The dissatisfaction of aiming the mouse and pressing the number “2” to fire a shotgun blast allies with an inability to move or backstep while firing, creating a static – and frankly boring – experience. 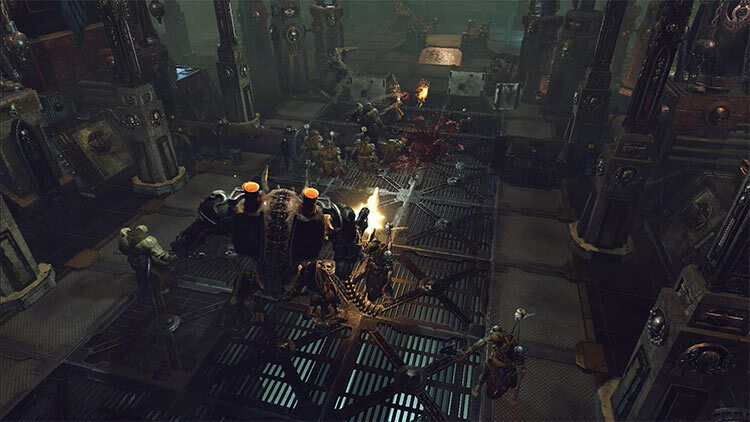 An engagingly substantial take on the Warhammer 40,000 franchise, Martyr's litany of technical issues tarnish what should otherwise have been one of the better titles from developer Neocore Games. 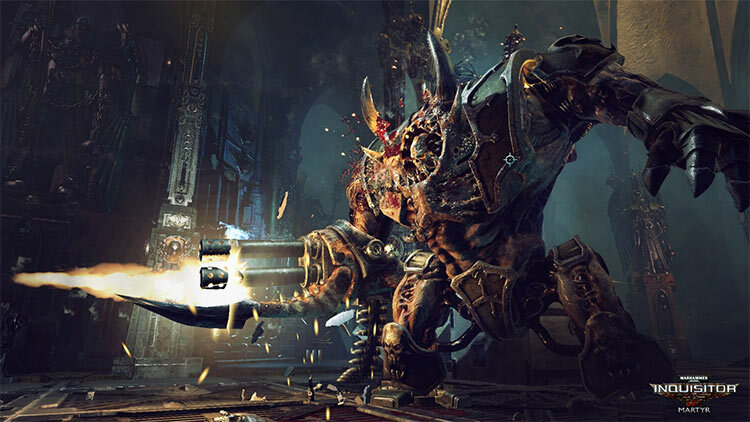 All the same, Warhammer 40,000: Inquisitor - Martyr will provide many hours of chaos blasting fun for fans of the franchise. Se trata de un juego de rol y acción con grandes ideas, un buen trasfondo basado en el juego de tablero de Games Workshop y un cúmulo de errores en su planteamiento. Repetitivo, poco cuidado y pobre en su apartado técnico, el juego se queda a medio gas. Die zufällig generierten Inhalte, auf die man als Alternative zur überraschend umfangreichen Kampagne zurückgreifen kann, dürften zwar bereits mittelfristig mehr Abwechslung bieten. Doch mit ihrem an den Abenteuer-Modus aus Diablo 3 erinnernden Ansatz bieten sie eine solide Grundlage für die von Neocore bereits angekündigten Gratisinhalte, mit denen man die metzelfreudigen Inquisitoren in den nächsten Monaten versorgen möchte. Et Inquisitor - Martyr remplit parfaitement sa mission, non sans heurts. Cette aventure épique souffre d’une technique en dents-de-scie et d’une répétitivité inhérente au genre. Quand bien même, cette nouvelle adaptation est une offrande faite à l’Empereur et aux joueurs de par sa fidélité au lore et la générosité dont il fait preuve. Mais les amateurs éclairés de hack’n slash n’y trouveront rien de plus solide que les quelques jolies balivernes qui ornent fièrement sa jaquette. Ceux qui envisageaient de s’y mettre sur PS4 (normale) à la rentrée pourront sans regrets retirer un point à la note à gauche de ce paragraphe, et vu l’état du portage, on pourrait presque encore nous accuser de sensiblerie.